The EH3515-1HDMT is an indoor/outdoor surveillance camera enclosure from Pelco which is designed to provide high quality protection for use in a range of different setups. The EH3515-1HDMT surveillance camera enclosure comes with indoor/outdoor compatibility, a forward opening hinged lid, a quality lightweight design, as well as easy servicing and installation. The EH3515-1HDMT surveillance camera also features an aluminum construction, a 12.75lower body, a rear link lock latch, plus a contemporary design, and cable entry glands. 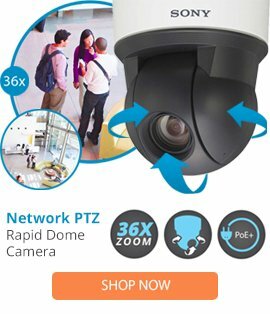 This surveillance camera is able to provide high operation, and can be used in a variety of setups.